Professor Hershkoff’s teaching focuses on civil procedure and federal courts. She is co-author, since the Ninth Edition, of the leading casebook in the field, Civil Procedure: Cases and Materials (with Jack H. Friedenthal, Arthur R. Miller, and John E. Sexton), and also has prepared a "compact" edition of the casebook for three- and four-hour courses. She actively engages with pedagogy and her writing includes articles on the teaching of civil procedure. She is a member of the International Association of Procedural Law and a co-editor and a co-author of Civil Litigation in Comparative Context (with Oscar Chase ed. 2007). She also is a member of the author team of the famous "Wright and Miller" Federal Practice and Procedure treatise, concentrating on the volumes involving the United States as a party. Professor Hershkoff also is a nationally recognized scholar on state constitutions. Her writing has concerned such topics as social and economic rights, state constitutional interpretive method, and the relation between state constitutional norms and common law decision making. 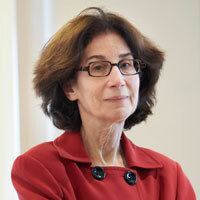 She has published widely in journals including the Harvard, Stanford, Fordham, and Rutgers law reviews. In 2011 and 2012, she helped plan and participated in a series of conferences for state court judges organized by the Aspen Institute Justice and Society Program. Professor Hershkoff also co-directs the Arthur Garfield Hays Civil Liberties Program and an important part of her scholarship focuses on public interest litigation and the role of the courts in effecting social change. With Stephen Loffredo, she is the co-author of The Rights of the Poor (1997). She served as a consultant to the Ford Foundation on its Global Learning Program Initiative, see Many Roads to Justice (McClymont & Golub eds. 2000), and also completed a consultancy to the World Bank, see Transforming Legal Theory in the Light of Practice: The Judicial Application of Social and Economic Rights to Private Orderings, in Courting Social Justice: Judicial Enforcement of Social and Economic Rights in the Developing World (Cambridge University Press, 2008). Professor Hershkoff is a 1973 graduate of Radcliffe-Harvard College, where she was elected to Phi Beta Kappa in her junior year. She earned her J.D. from the Harvard Law School, and a B.A. and an M.A. in Modern History from St. Anne's College, Oxford University, where she studied as a Marshall Scholar from 1973-1975 and received her degree with First Class Honors. Professor Hershkoff currently serves on the boards of the Brennan Center for Justice and of the Urban Justice Center, and helped to establish Party for Humanity, Inc., a non-profit organization, www.partyforhumanity.org. She is a Fellow of the American Bar Foundation.